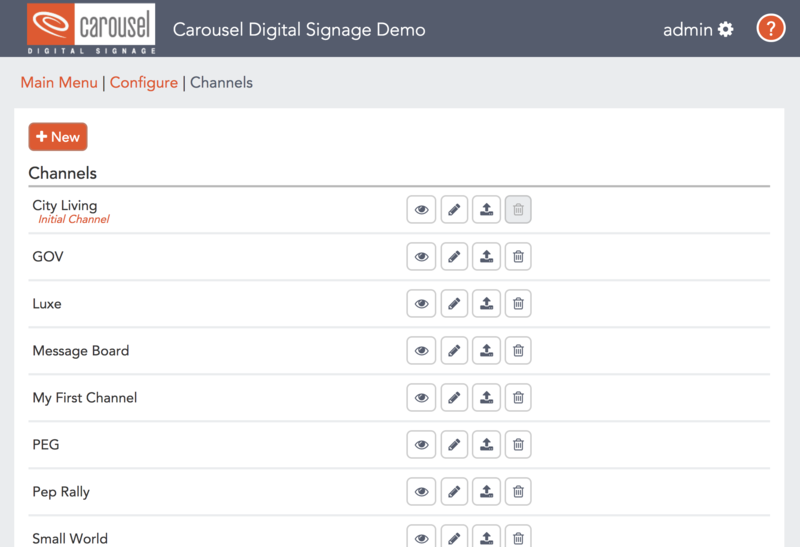 You can create as many channels as you would like in Carousel. Media players can switch between the channels either manually or on a schedule. This is great for multi-use facilities who what entirely different content to run on the screens at different times.